Can You Expunge Your Illinois Criminal Record? This is the next post in my series on clearing criminal records in Peoria, Illinois. My last article discussed the effect of sealing or expunging your criminal history. It is important that either process can assist area residents with passing a background check, gaining employment, and possibly with gaining professional licenses. A lawyer can assist you in understanding all of the benefits associated with these processes. In this article I will address whether you can expunge your criminal record. Expungements are only available under certain circumstances. Contact my office to speak with an attorney. My office is able to handle such matters for as low as $499 plus court costs. You will not be eligible to file for an expungement unless your case is resolved. By “resolved” I mean that the matter is fully completed, that you are not on probation or under supervision, and that the Court has entered any necessary final orders. If any outstanding issues are still pending then you must wait for them to be completed before you can file a Petition to expunge your criminal record. Under Illinois law, veterans may be eligible to expunge certain non-violent or gun related felonies. Veterans and non-veterans alike will be eligible to immediately expunge records if the case ended in an acquittal (meaning a verdict of “not guilty), if the matter was stricken without leave, if the case was dismissed through the Court’s Finding that there was no probable cause to justify the arrest, if the prosecutor elected not to file charges after you were arrested, if you successfully completed supervision (probation) for certain offenses, and if you successfully completed TASC probation after a drug-related arrest. Also, those who have completed TASC probation may expunge your record after the successful completion date. 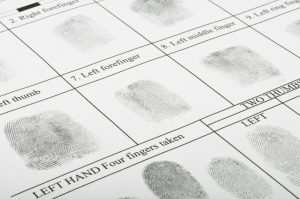 Other offenses may be eligible for an expungement if at least two years have passed. Finally, a reckless driving conviction may be expunged if it occurred before a certain date. If you wish to expunge your Illinois history then contact my office to speak with a Peoria criminal records attorney. I am a former prosecutor who is familiar with our local court system. I will assist you in determining whether you are eligible to expunge your record or, in the alternative, if you can seal your history. I also service the cities of Bloomington, Eureka, Galesburg, Morton, Normal, Pekin, Springfield, and Washington. I also serve the counties of Fulton, Knox, LaSalle, Marshall, Mason, McLean, Putnam, Rock Island, Schuyler, Stark, Tazewell, and Woodford. I also handle federal cases in Urbana.